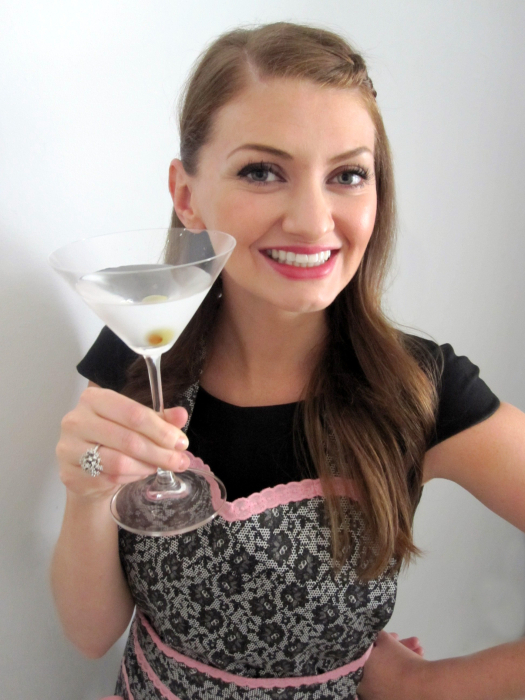 first, i’m happy to announce that the winner of my smoked spices giveaway is emily! congrats emily, you now will get to cook using that smoked sugar that you were excited about trying! i can’t wait to hear about what you make with it. one of my favorite things about fall is the return of football. at our house, sundays are devoted to watching nfl + cooking, a perfect combination. the food i most associate with football is chili + the recipe below is my absolute favorite. 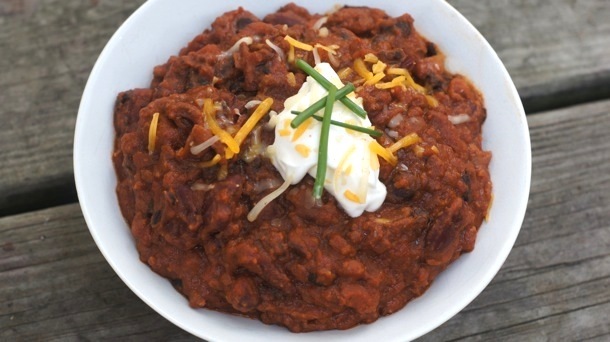 it is a rich, comforting chili with a tons of flavor dimension. a few notes: if serving this to a group, i generally do not make it spicy, as spiciness preferences vary greatly among people. to add a bit of heat, try adding 1/2 teaspoon crushed red pepper flakes. the amount of beans you use also depends on your preference – i generally use 4-5 cans of beans per pound of beef, as my honey loves beans. if you’re not as bean-crazy, try 2-3 cans. yesterday was a wonderful day – we went to the Titans game + watched them win *and* ate this delicious chili. i hope your favorite team also scored a victory + you get the opportunity to make this chili soon – you’ll love it! heat oil in a heavy large pot or dutch oven over medium heat. add onions + garlic, saute until onions are translucent, about 8 minutes. add beef + saute until brown, breaking up meat with the back of spoon, about 5 minutes. add chili powder, cumin, basil, oregano + thyme, stir for 2 minutes. add in crushed tomatoes, beans, chicken broth, beer + tomato paste. simmer until thickened to desired consistency, stirring occasionally to prevent sticking, about 1 hour + 15 minutes. season to taste with salt and pepper. Ok So I have just made this Chili and it is simply delicious. I did a few things different I added sirloin steak as well as ground beef ( my husband is a big meat eater) and after browning it I put it in the crock pot for the afternoon. i love your adaptations, rebecca. sounds amazing + glad you two enjoyed it! The chili was so yummy! Even my husband liked it (and he usually doesn’t like my cooking very much)! Thanks Amy! it so does! i think that’s one of the things that makes this chili so good. although, frankly, beer makes everything better. =) can’t wait to try your recipe!